One of the first questions of anyone starting to discover the world of aromatherapy is, “Which aromatherapy book(s) should I buy first?” A search on “aromatherapy” in Amazon books yields 5,679 results. An Amazon book search on “essential oils” yields 8,970 results! 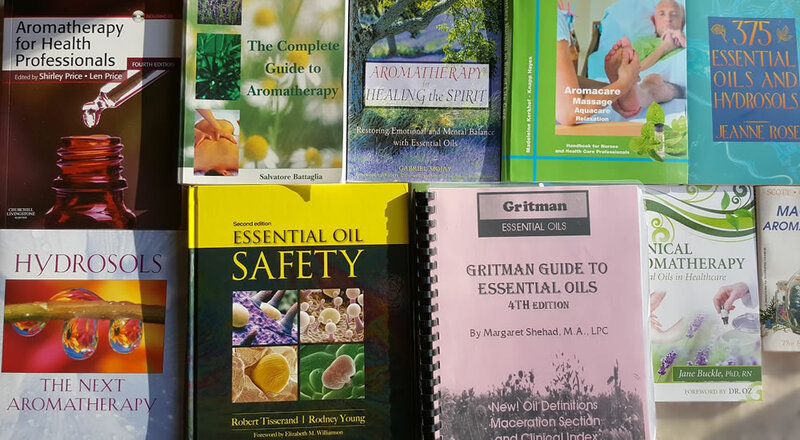 So, you can see that this is an important question since one cannot possibly read every single book on essential oils and aromatherapy in one lifetime! I’ll start by telling you about the first aromatherapy book I ever bought: Aromatherapy for Healing the Spirit: Restoring Emotional and Mental Balance with Essential Oils by Gabriel Mojay. At the time I had just gone through a Reiki attunement and I was interested in the energetic uses of essential oils. Gabriel has put together a beautiful collection of 40 essential oils one by one as well as mental conditions and restoring balance to the mind and spirit. 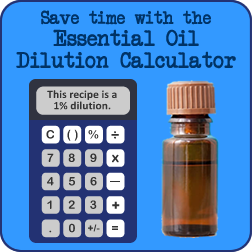 He does an excellent overview in the beginning of the book of yin and yang, the five elements, the distillation process, and methods of essential oil application. This book was a great start and it got me yearning for more. The book that I wanted from the beginning was Essential Oil Safety: A Guide for Health Care Professionals 2d by Robert Tisserand. At the time the book had just come out and seemed out of budget at a cost of nearly $100. I’ve since purchased both the print and electronic versions of this book and it has proved indispensable as an everyday reference. Someday I’d like to read the book cover to cover, but for now I especially love the ability to search the electronic version and find just what I’m looking for in regard to safety of any given essential oil. The next big-ticket book on my list was The Complete Guide to Aromatherapy Second Edition by Salvatore Battaglia. This book may have been written more than a dozen years ago, but it is still a must-have text for understanding the complete picture of aromatherapy and how essential oils affect the systems of the body. Battaglia outlines countless essential oils and lists information such as botany and origins, method of extraction, essential oil characteristics, historic and traditional uses, chemical composition, pharmacology and clinical studies, therapeutic actions, indications for use, energetics, mode of administration and safety of each oil. He then does a thorough overview of each of the body systems so you can understand how essential oils interact with the human body. This book is the text for many aromatherapy students and an invaluable reference for aromatherapists. I spoke with aroma-chemist, Mark Webb, and asked him to give me his top three picks for aromatherapy books. As is the way with Mark, he gave me more than I asked for and listed his top four. The Chemistry of Aromatherapeutic Oils 3d by Joy Bowles: This is your book for aromatic chemistry from the perspective of understanding the therapeutic aspects of essential oils and their chemistry. Essential Oils: A Handbook for Aromatherapy Practice 2nd Edition by Jennifer Peace Rhind: a good book if you want to learn about aromatherapy. It’s not a beginner book, but if you’re serious about aromatherapy for a well-rounded, well-written evidenced-based book, this is the one to read. Clinical Aromatherapy: Essential Oils in Healthcare, 3rd Edition by Jane Buckle PhD RN: This is the book to read as your knowledge grows. It’s evidenced based and talks about more serious clinical conditions and the treatment thereof. Thanks Mark, for sharing your list with us! Complementary Nursing in End of Life Care – Integrative care in Palliative Care by Madeleine Kerkhof-Knapp Hayes: Don’t let the name of this book fool you. It’s packed full on information about treating many conditions and the knowledge can be applied far beyond the realm of palliative care. Next on my list is the new book by Andrea Butje entitled, The Heart of Aromatherapy: An Easy-to-Use Guide for Essential Oils. Andrea is a wonderful teacher and I’m looking forward to reading through what she has deemed important to share with the world via this book. I know it’s going to be amazing! Afraid to read aromatherapy books alone? There’s a Facebook group for that! Alecia Buono is the founder of the group, “Aromatherapy, Herbal & More Book Club“, where they read aromatherapy books together chapter by chapter and discuss as they go. Their current book is: Aromatherapeutic Blending: Essential Oils in Synergy by Jennifer Peace Rhind. What about you? What are your top picks for aromatherapy books? Which one did you buy first and which one are you getting next?